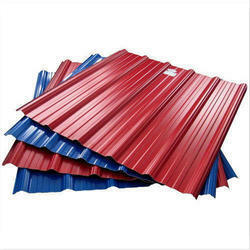 We are being widely appreciated for offering Coated Trapezoidal Wave Profile Sheets with peerless quality. These products are meticulously fabricated using quality-tested basic material and latest production techniques that ensure their impeccability. Furthermore, we ensure to design these products in line with the prevailing markets trends and industry laid parameters.